New Testament Church powerfully influenced the world with good news of the gospel in a single generation. Filled with the Holy Spirit New Testament believers those present to share the truth of the message of the crucified and risen Lord with hundreds of thousands of people. In the face of insurmountable obstacles, these believers praying proclaim the Gospel to the ends of the earth. It will happen again in some places this is happening now. You can be part of something great for God. Renewal is a new experience with Jesus. It's about what you do in your personal life, in your marriage and your children. Reviving us from a passionate sincere prayers to the mission. On this page you are preaching, liturgical readings, spiritual resources, intercessory prayer guides, and a wide range of ideas and materials to keep you and your local church for spiritual renewal. Connect with millions of members around the world who yearn for outpouring of the Holy Spirit of God and the completion of work on the ground. Prophecies about the End of Time in Revelation predict that will be repeated Pentecost, the Holy Spirit will be poured into a powerful second rain. The earth will radiate the glory of God. The urgency of our time requires us to seek God promised the power of the Holy Spirit to complete His work on earth in this generation. As you read these pages may your life be filled with His Spirit, and you have an even greater desire to take the power of the Holy Spirit and testify for him in this final generation. At the last session of the General Conference of Seventh-day Adventist Church with representatives from churches around the world voted for revival and spiritual renewal as a clarion call to God's people before the second coming of Jesus Christ. This document contains this statement: "We appeal to all members of the Church to unite with church leaders and millions of other Seventh-day Adventists in the search for a deeper relationship with Jesus and the outpouring of the Holy Spirit for 7:00 every morning or evening, seven days a week. This is an urgent call Earth spanned fervent prayer. This is a call for complete surrender to Jesus and experience life-changing power of the Holy Spirit, whom our Lord wants to give. "Wilson added:" The desire of our hearts, we see that the recovery takes hold in the Church. It is This message for all of us. " "The Lord wants to finish this work," said Ted Wilson, NC, President of the Adventist Church during the meeting. "He wants to pour out the Holy Spirit in an unlimited amount." According to the approved document, "God's promised gift" Adventists have a unique challenge: "Churches have the same growth rate as global population growth. Proud of our current assessment of evangelizing the impact of the world leads to the conclusion that if there is no dramatic change is completed heavenly role in this generation. Despite our best efforts, all our plans, strategies and resources are unable to complete the task of God's glory on Earth. "The document adds:" There is nothing more important than the knowledge of Jesus and his promise of finding outpouring of the Holy Spirit in the power of the Latter Rain Gospel mandate to fulfill. " Recovery and rehabilitation should have their place, says the document. According to the quote from Ellen G. White, co-founder of pioneering this movement, in The Advent Review and Sabbath Herald, February 25, 1902, states: "In renewing means the renewal of spiritual life, mind and heart, a spiritual resurrection from death. Rehabilitation means the reorganization, a change in thinking and theories, habits and modes of operation. Restoring justice will not bring forth good fruit, unless it is linked to the revival of the Spirit. 1 Separate yourself to a day plenty of time to fellowship with Christ through prayer and Bible study. 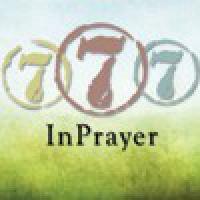 2nd In personal meetings, telephone or via the live global Internet community prayer "777, where the seventh Adventists day, 7 days a week, praying in the 7th morning or evening for outpouring of the presence and power of the Holy Spirit. "The chain of sincere prayers of believers should be spanned by the world ... the prayers of the Holy Spirit" (EGW, RH, March 1, 1907). 3 Separate from the first Saturday in the quarter, as a day of prayer and fasting for a worldwide church. 4 Tasks Saturday Bible school during church services to discuss with the focus on revival and reformation of the Church. The Church will not bring forth good fruit, unless it is closely linked with the Holy Spirit. We believe that these global initiatives can bring the Church in the countries of their fruit. One of the biggest questions facing the churches is a Seventh-day Adventists: Are we willing to get out of our comfort zone, that God will do what is necessary to prepare everyone for the real personal revival, to change or reformation in our lives, we still more like Jesus, and took the latter rains? All this is only through the power of the Holy Spirit. The answer to this question is your choice and my choice. As we all know, God will not force us to comply with His will. He invites, supports, and so pleads with us in response to his advice and wishes. Over the past few months, call for renewal and reformation of the Church went into the world through our church leaders. What was your reaction? More than 100 years ago, Ellen White, a servant of the Lord said, "The restoration of true godliness among us is the greatest and most urgent of all our needs. This should be our first work on what we aspire to." (RH, 22 March 1887). Model of the Apostolic Church, which is prepared for the outpouring of the Holy Spirit is with us today. Before Jesus left, he told his disciples to take the power to accomplish the mission given to them. In Luke 24.49 - said: "Behold, I promise you I will pour out His Father. Stay in the city, but until you are clothed with power from on high. " Acts 1,5,8 - John baptized with water, but you'll soon be baptized with the Holy Spirit. "But I receive the Holy Spirit is come upon you and you will be my witnesses in Jerusalem, throughout Judea, in Samaria, and to the end of the world." Jesus told his disciples to return to Jerusalem and waited for the power that they had come from the Father. The wait time was approximately 10 days, but did not put their feet up and wait in the doldrums. It was a rather intense period of training. Luke gives us a quick insight into what happened. Acts 1.14 - all in one accord devoted themselves to prayer, together with women and with Jesus' mother Mary and his siblings. Acts 2:1-4 - When the day of Pentecost came, they were all together. Suddenly there came a sound from heaven like a strong wind collapsed, and filled the whole house where they were sitting. Appeared to them tongues as of fire, which broke up and rested on each of them. All were filled with the Holy Spirit and began to speak with other tongues as the Spirit gave them utterance. Ellen White explains this whole experience: "Was it, confessed and forsaken sins through serious prayer and dedication to God that the first disciples prepare for the outpouring of the Holy Spirit on the day of Pentecost. The same job, only more so, it must be done now. "(TM, p. 507). We commands. He is waiting to pour out His Spirit upon His remnant people to enable them to complete the work preaching the message of the three angels. What kind of work we do? We are told - to confess their sins, leaving sins, truly pray and dedicate themselves to God!